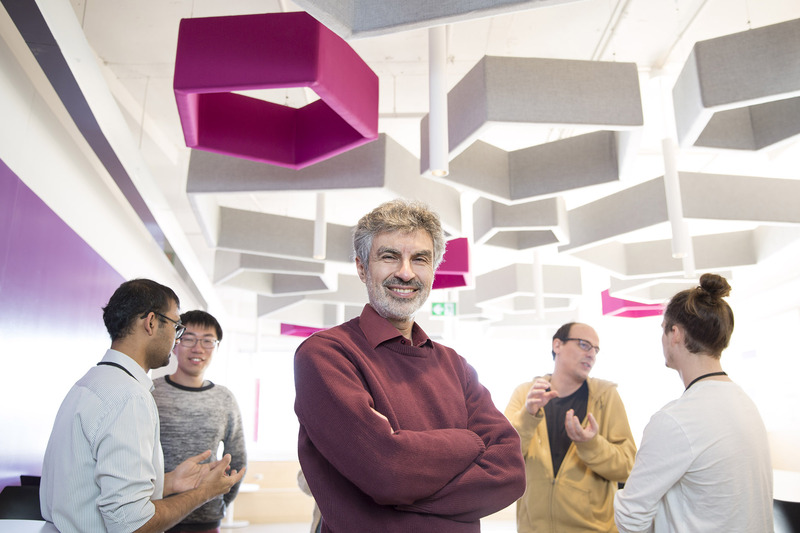 Yoshua Bengio is no stranger to accolades. But when the Université de Montréal computer science professor learned that the biggest computing organization in the world had named him a winner of the $1-million A.M. Turing Award, he was stunned. “The Turing Award is at the top of the IT world’s list of awards and recognitions – it’s considered the Nobel Prize of computing,” Bengio, 55, said of the honour announced today by the New York-based Association for Computing Machinery. Bengio is a co-recipient of the annual prize with colleagues Geoffrey Hinton of the University of Toronto and Yann LeCun of New York University. They will formally receive the award, named after British mathematician Alan M. Turing and funded by Google, on June 15 at the ACM’s annual convention in San Francisco. In computer science, the term “neural networks” refers to systems composed of layers of relatively simple computing elements called “neurons” that are simulated in a computer. These “neurons,” which only loosely resemble the neurons in the human brain, influence one another via “weighted” connections. By changing the “weights” on the connections, it is possible to change the computation performed by the neural network. The challenge for researchers has been to develop effective learning algorithms that can modify the weights on the connections in an artificial neural network so that these weights capture the relevant patterns in the data. While the use of artificial neural networks as a tool to help computers recognize patterns and simulate human intelligence had been introduced in the 1980s, by the early 2000s Bengio, Hinton and LeCun, were among a small group who remained committed to this approach. Their efforts to rekindle the AI community’s interest in neural networks were initially met with skepticism. But with the growth of powerful graphics processing unit (GPU) computers, as well as by access to massive datasets, their methodology eventually became the dominant paradigm in their field, resulting in major technological advances in technologies that have since become widely known and used, such as computer vision, speech recognition and machine translation. “Artificial intelligence is now one of the fastest-growing areas in all of science and one of the most talked-about topics in society,” said ACM president Cherri M. Pancake. “The growth of and interest in AI is due, in no small part, to the recent advances in deep learning for which Bengio, Hinton and LeCun laid the foundation. For Bengio – an officer of the Order of Canada, fellow of the Royal Society of Canada and winner of the Marie-Victorin Prize – the Turing Award is a kind of vindication for having pursued the neural-network route all these years in the face of skeptics. The three scientists are longtime colleagues. LeCun did postdoctoral work under Hinton’s supervision, and beginning in the early 1990s LeCun and Bengio worked together at Bell Labs, when it was still owned by AT&T. Besides influencing each other in their day-to-day research, the three continue to explore the intersection of machine learning with neuroscience and cognitive science, most notably through their joint participation in the Learning in Machines and Brains program, an initiative of CIFAR, formerly known as the Canadian Institute for Advanced Research. Unlike Hinton, who is a vice-president at Google, and LeCun, a vice-president and chief AI scientist at Facebook, Bengio is first and foremost a professor at Université de Montréal. 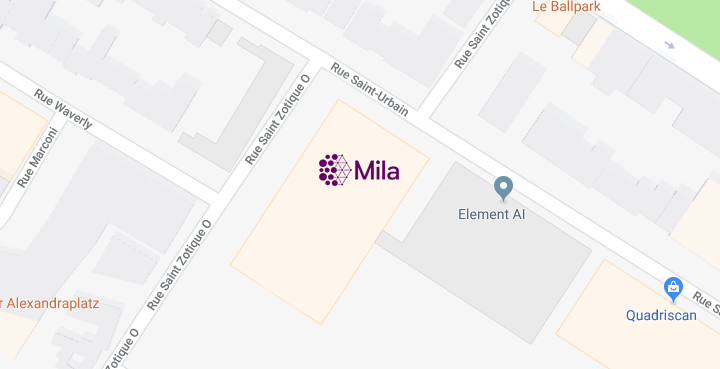 While he maintains close ties to the technology industry, he calls UdeM home, and recently helped inaugurate new headquarters in Montreal’s Mile-Ex neighbourhood for Mila, the renowned machine-learning institute he founded and for which he holds the title of scientific director. It is entirely appropriate that Turing Award isn’t going to just one scientist, but will be shared among three, said Bengio, adding that he has “no plans for the moment” about what to do with the prize money. “The community we have helped to create around deep learning does indeed enjoy a deep culture of sharing and collaboration and all three of us have set an example in recent decades,” he said. Can he imagine a day when a computer will win a Turing, for things it developed itself?